Our globalising world largely favors huge, unaccountable corporations, but I have faith that we can do better than we are doing right now. I have faith in the farmers I know. I have faith in fair food. As an outspoken sustainability advocate, one of the most frequent questions I get is whether or not I’m vegan. I usually reply that I’m an omnivore in theory and a vegan in practice, or that I see animal products as a luxurious treat for special occasions. Because although I think it’s natural for humans to occasionally eat other creatures – being the animals that we are – I don’t think that argument justifies something so far removed from nature as the animal industry. We cannot say that we are just like other animals to defend doing what no other animal does. I can imagine a reality in which the only animal products for sale are from the wild, or from small-scale farmers who milk their cows only after the calves have been fed and cuddled by their mothers. I can imagine a reality in which you know thy farmer, but that reality is not ours. — Umberto Eco, as quoted on my mother’s office wall. In our actual reality, compassion with animals is exception, cruelty – or at the very least neglect – rule. Not because humans are necessarily cruel, but because we have set up a system that encourages us to be. A system that encourages us to think that bigger is always better – and as we make immense industries out of everything, our sense of personal responsibility fades. We let ourselves become silent and anonymous cogs in a much larger machine, and as we cram animals together – making each just one among many – we turn those sentient individuals anonymous too. I’m from Sweden, and a common argument there – especially in the rural forestry circles in which my parents are active – is that we need grazing livestock to keep our landscapes open. That argument resonates with me. But again, I think it mainly legitimizes the exception, not the rule. If you truly know where your meat, milk, cheese and eggs are from, and that all of it has been produced with love and respect, I see no reason why you should not treat yourself to a portion of it now and then. However, even if the relationship between humans and animals were a respectful one, the production of animal foods is still an inherently resource devouring business. We give an incredible amount of food and water to livestock, to get a relatively tiny amount of food back in return. Animals are not machines; apart from producing muscles, milk and eggs, they also require energy to live and move and breath. And while free ranging animals may not need to be fed with soy, they still drink, they still poop, and the areas they need to roam to be properly fed are vast. As food, plants are far more resource efficient. Hence, even if you literally know the farmer you get your meat from, meat ought to be a sporadic luxury treat. 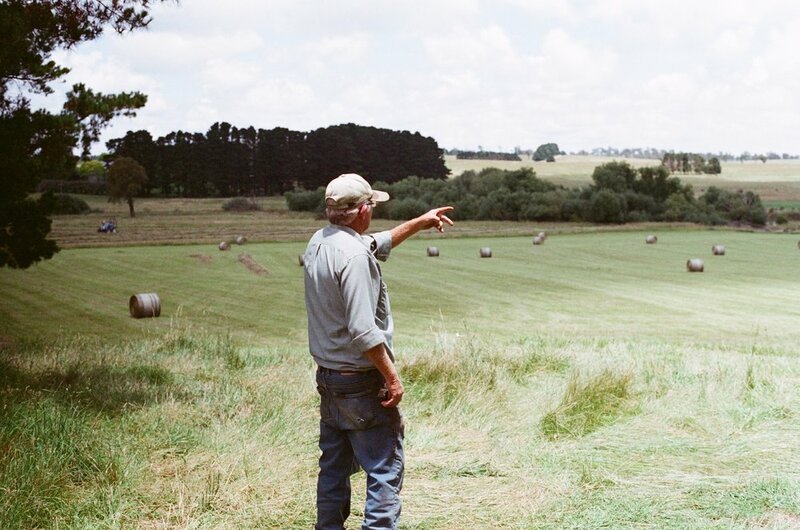 Knowing thy farmer: a point I have dwelled on lately. To know without doubt that animal products – and any other products for that matter – are produced with ethical consideration of everyone and everything involved, I would have to cut out all middlemen and personally see all steps of the production process. Needless to say, there would not be many products I could eat or use if that was the criterion. Realistically, neither I – nor everyone else – can personally know the producer of every product I buy. It is also not realistic that everyone who cannot get their food straight from the farmer will abstain from consuming animal foods because of this. So: middlemen do have a role to play, and being suspicious of every one of them would make life very difficult, not to mention pessimistic. Like personal relationships, a society needs trust to be healthy. I want to trust that companies and governments do what they claim they do. That is not to say I want to turn a blind eye, and be satisfied with illustrations of happy cows on cartons of milk as a guarantee that the cows are, in fact, happy. It just means that I believe there’s something in between far too many middlemen, and no middlemen at all. That there’s something in between hopelessly gullible, and irremediably suspicious. Products in general, and food in particular, can be produced ethically. But in too many cases, they aren’t. We need to acknowledge this and address it. We need to provide fertile ground for companies which keep themselves small, transparent and accountable. Because such companies can form direct, constructive and fair relationships with farmers we do not personally know, and create the conditions needed for those farmers to properly take care of their animals. As consumers we can provide this fertile ground by seeking out such companies and show our demand. As citizens we can demand from politicians to change policies. As employees we can nudge our workplaces to only affiliate themselves with companies of that kind. As entrepreneurs we can start our own companies. As policymakers we can – yes, you guessed it – change policies. Despite the food philosophy I have outlined above, it does happen that I eat animal foods whose origin I don’t have the slightest clue about. This because it’s sometimes too socially, mentally or physically harmful to me not to follow the norm. Or sometimes because I simply can’t resist the temptation. I don’t hate myself when it happens. All rules have exceptions, and we need to be kind to ourselves if kindness is to pervade our larger systems. Our globalising world largely favors huge, opaque, unaccountable corporations, but I have faith that we can use our seemingly ever-increasing interconnectivity to strengthen bonds and networks between smaller actors; making local, small-scale, decentralised food systems the norm. I have faith that we can do better than we are doing right now. I have faith in the farmers I know. I have faith in fair food. SAGA NORRBY is made on a base of Swede, with a recent sprinkle of Amsterdam Dutchness on top. She is a sustainability communicator and constant nibbler, with a weakness for delicious words.